Picture immense feature walls covered in cascading natural stone or imagine your kitchen backsplash making a bold statement with modern lines in a contemporary gray. Norstone has been crafting natural stone tiles to fit a variety of design needs from natural to contemporary. 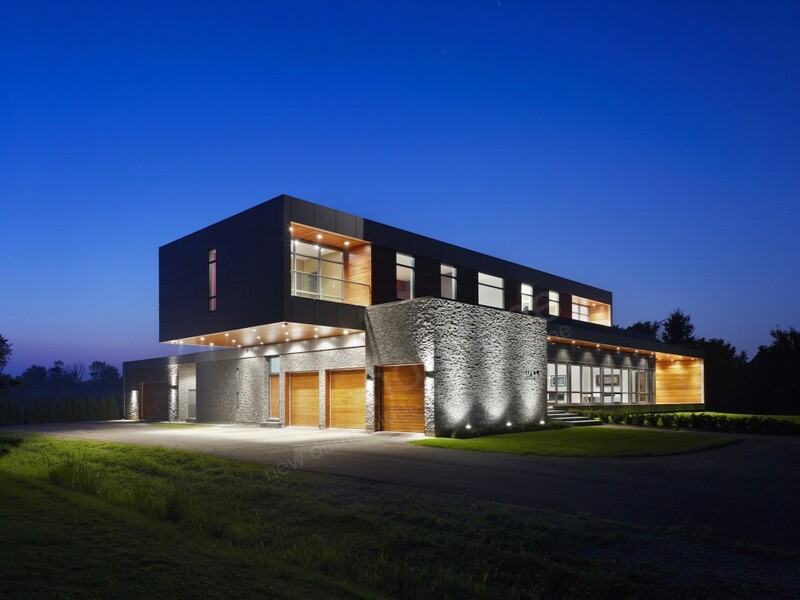 Kafka Granite is proud to be the Midwest’s exclusive distributor of Norstone’s premium stone veneer panels and tile, and we’re always willing to help you find the right Norstone solution for you. Norstone is a premier manufacturer and supplier of natural stone products globally and has been focused on innovating natural stone as an interior and exterior design element. With its advanced stone systems, Norstone is able to provide thin stone veneers and tiles that turn ordinary spaces into remarkable ones. Norstone products have been used to adorn everything from fireplaces and feature walls to pools and luxury showers. 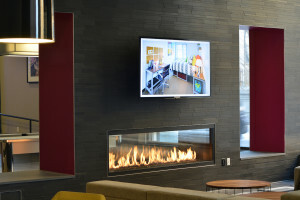 Large-scale businesses, such as hotels and concert halls, to private residencies have taken advantage of the immense beauty, functionality and ease-of-installation offered from Norstone products. 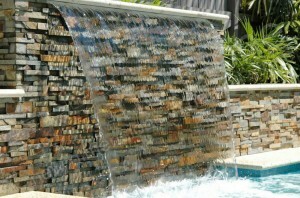 Norstone makes a variety of natural stone products to fit the ever-changing needs and trends of today. They manufacture standard and XL stacked stone veneers, as well as natural basalt tiles that can be acquired in a three-dimensional panel or flat tile pattern. These varieties come in a smattering of different colors to match the aesthetic your heart desires and, the best part: they’re so easy to install, which insures a beautiful natural stone feature wall without the steep labor costs of individually placed stone. 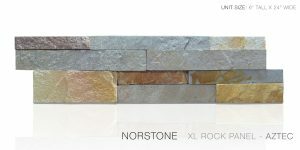 Norstone’s XL Rock Panel are still one square foot panels, but with larger stone pieces than the standard panels. Norstone’s stacked stone veneers resemble large blocks of stone meticulously stacked and arranged in just the right way to fit your space. However, Norstone has ditched the bulk, time and weight of entire stones to bring you just the veneers—which are essentially just the face of the stone—preassembled into one square foot panels. With four different colors available of its natural stone rock panel tiles, as well as its bigger brother XL rock panels, nearly any design aesthetic can be achieved with this staggered natural stone option. Unlike assembling a wall out of stone piece by piece, these veneers will arrive in preassembled panels that seamlessly interlock with finger-jointed corners for a seamless design. The goal is to be able to create a luxury-level space in an easy and manageable way. Lynia 3D Panels are the only three dimensional basalt veneer rock panels on the market. 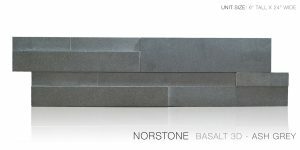 If a textured stone surface isn’t quite the match for your space, Norstone also manufactures sleek natural basalt tiles. The Lynia Tile Collection is a “righteous marriage of design, technology and extraordinary stone” that will make any room feel like a haven for all things contemporary. Available in two tones of grey, Ash Grey and a dark Ebony, basalt tiles can complement nearly any space design with modernity in mind. Unlike the flat Standard Lynia IL Tiles, Norstone’s new Aksent 3D Tile Collection is composed of sheets of staggered basalt tiles to create the only three-dimensional basalt panel on the market. 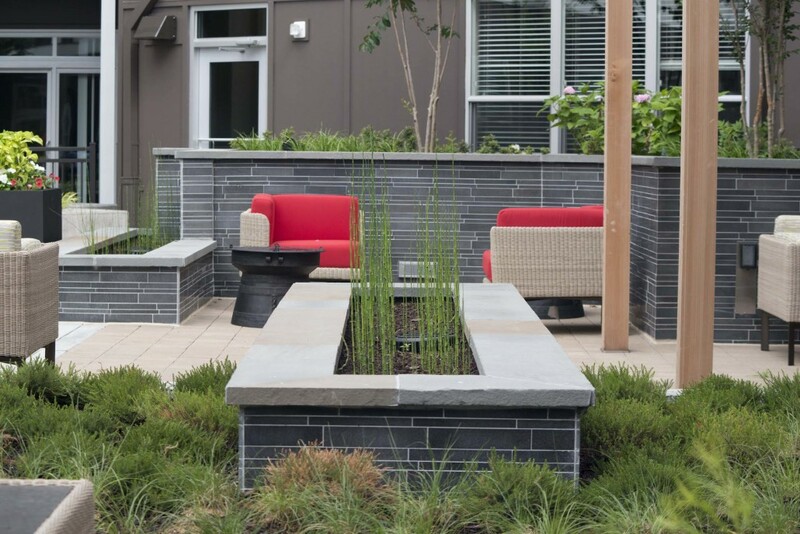 Both varieties of basalt tiles are crafted by hand with unique interlocking edge profiles so that one panel of tiles will seamlessly interlock with neighboring panels. Where Are You Installing the Tiles? Before you commit to one of Norstone’s products, truly take into consideration where you are looking to install it. What is the overall aesthetic you’re trying to achieve? What is the aesthetic of the existing surroundings? For example, while you may love the look of Lynia IL Tiles, they may not be the perfect complement in a log home or rustic restaurant. 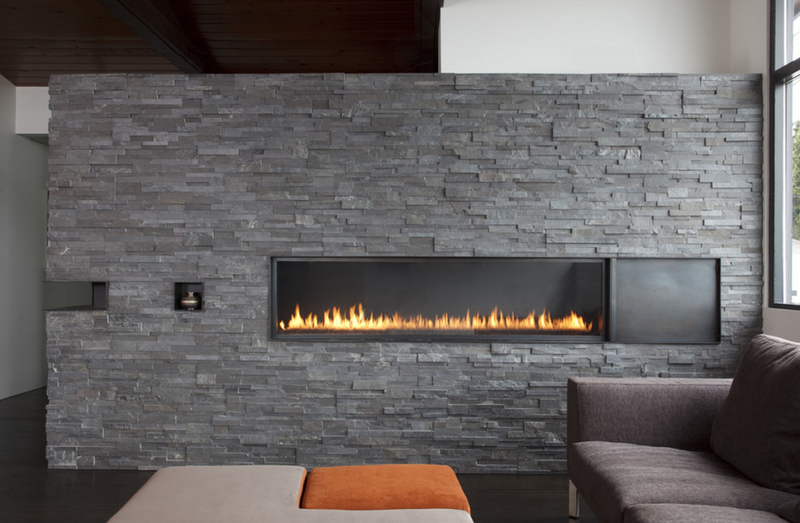 If you’re seeking a natural surround for around your fireplace, pool waterfall, retaining wall, or kitchen backsplash, Norstone’s Rock Panel Collection could be your best fit. The unique and varying texture that shows through on the face of these stacked stone panels will take you back to natural rock ledges or stony walls found in nature. The Ochre panels have a beautiful range in natural colors, while the stark White Quartz panels are more modern with still a rough, natural stone finish. If sleek lines and contemporary fixtures will surround your project, then Lynia IL tiles will only add to the modern atmosphere you’re trying to achieve. The long, sophisticated lines of basalt tiles are the epitome of modernity. No matter which design appeals to you more, you can rest assured that all of Norstone’s panels are assembled by hand to ensure that meticulous specifications are met. Finger-jointed corner systems means you won’t have to miter corners or worry about cutting each tile with hopes they’ll fit together. The only iteration of Norstone’s tiles that requires grouting with an unsanded grout is the Lynia IL collection. However, these prearranged tiles are mounted on a mesh backing for a perfect one square foot sheet every time. The simplicity of installation will save you time when it comes to measuring, cutting, laying, and grouting. You don’t have to keep Norstone tiles restricted to indoor applications. While the naturally sourced stacked rock veneers and basalt tiles will “wow” anyone who comes into your space, they can also earn a great deal of curb appeal when used for exterior facades, retaining walls, water features, and landscaping. The applications are seemingly endless—you simply need to have a space that’s begging for an easy and beautiful update. Budget: Consider your budget. With Norstone products, you’ll be spending a fraction on labor costs with these preset stone veneers than what you would spend on a mountain of full-sized, individually stacked stone to create the same look. And because this is a groutless solution, with the exception of Lynia Interlocking Tiles, you will be saving money on those associated expenses. Design: By taking into account the aesthetic of the areas surrounding your project, you’ll be better guided in choosing between all of what Norstone has to offer. While all four product lines are made from naturally sourced stone that cannot truly be mimicked by machined or man-made stone, the standard stacked stone veneer will complement more traditional projects in a wide variety of settings while the modern basalt tiles will make any space feel more contemporary. Time: Each panel is assembled to exacting specifications to that you can rest assured each will perfectly nest into the edge profile of its neighboring panel. With little to no cutting of individual tiles or corner miters, installing an entire project will take a fraction of the time than if you were to cut and set each stone individually. Groutless solutions mean your job is done after the adhesive has set, but even when grouting with Lynia IL tiles, you’re guaranteed consistent grout lines and a clean look. Chat with us today. We’d be more than happy to discuss your architectural project, send you free sample to help you make your decision, and point you in the direction of your nearest Norstone dealer for residential projects. We know you’ll be pleased with the burst of beautiful design Norstone adds to any space.